1. Globally, our internet speeds are currently competitive. Of course more bandwidth = better. But sometimes the marginal benefit is low. I’m not saying we’ll never need more bandwidth. I’m just saying that the balance of probability is that we’ll get better value from not spending $43 billion now. Satellites are on the horizon. So to speak. 2. I don’t buy the idea that businesses need NBN. In the places I’ve worked the internet is used for browsing the web and emailing half-finished excel spreadsheets back and forth. Businesses also love to circulate glossy PDFs, and sell things on the internet. And businesses are not in every premises in Australia. There’s a big difference between giving hospitals and the square kilometre array incredible internet speed (8 tbps! ), and giving incredible internet speeds to every terrace house, flat and bungalow in postcode 3068. Where productivity demands better internet access, users should pay. 3. I’m not sure there’s a huge advantage in being a global leader in bandwidth. The internet is international. Pages for global audiences are designed to be accessible for the average user, and for hand-held devices with more limited connectivity. Having a lot of capacity will probably mean having a lot of spare capacity until the rest of the world catches up. 4. I think there is a cap on how much data we can consume. No doubt data demand is increasing. From 286 MB/month in 2000 to 14,909 MB / month in 2009. But this is a result of moving real-world activities like photos and video onto the internet. Youtube’s audience is double that of the three big channels broadcasting US prime-time TV. Similarly, telephone call sound quality is abysmal and noone cares. Most of the value is in the existence of the link not the quality. 5. Necessity can be the mother of invention. Compression technology is on the march as well. .zip files are ancient history. .jpeg and .mp3 are more recent examples, and the technology is being driven hard by hand-held devices. If something has less benefit than cost, experiencing its advantages will make you worse off. Some people don’t seem to get this. Money is not just for spending. It’s a fair argument TTTE, but it reminds me of the guy that said computers won’t ever need more than 32MB HDD space. Data is not restrained by human constraint as much as technological and the transmission of data has kept apace with available bandwidth. If you have enormous bandwidth, it will be used. Imagine gaming whereby everybodys’ movements are tracked via a cybersuit which is then used to play virtual war games. Awesome! Michael you make a very good point. I suppose money can’t really be simply ‘saved’, it’s always going to be invested. The point is that it could be invested in things with more certain payoffs. Like improving travel options inside Australia’s biggest cities. While not everyone uses high bandwidth applications, almost everyone tries to move around their city each day. I’d like $43 billion worth of bikepaths, improved frequency on the tram networks, and some new train lines. Sounds good, although it’s difficult to know what will not be needed in the future. I don’t know if this is accurate, but my feeling is that “economic rationalism” (for want of a better tag) has resulted in illusory savings and efficiencies by simply not building much infrastructure and running down existing infrastructure. I often look at the staggering figures for instituting things like grade separation and bike paths and wonder how all the existing infrastructure ever got built. Perhaps under economic philosophies that didn’t believe explicitly in shafting future generations? You’re right, and I’m throwing in the towel. I mean I still reckon we need to move up and away from ADSL1 as the world moves closer to cloud computing (and I do think that’s the future). But not as much as we need more train services and more train lines right now. Being Melburnian myself, I shudder at the thought of what living and working in Sydney must be like when Sydneysiders say that their public transport system is worse than ours. So yeh… $43billion should definitely be spent on fixing up public transport in our cities and regional townships first. Also, I only know a Victoria run by Labor, so forgive me if I think that they (Victorian Labor) have done ok in buying new trams and upgrading some train stations, and trying to get a comprehensive ticketing system to work. But I definitely agree that much more (public transport) can be done. On a completely separate note, I think an ultra high speed railway line between Melbourne and Sydney would be key to ending our parochial feuds. I have seen so little of our other cities, and I really only know Victoria. So of course that’s why I think we’re the best. 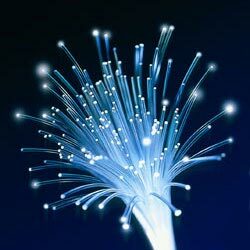 Regardless of the use of a piped, scalable optic fibre to the home network (and I think that demand for high bandwidth for IPTV, cloud computing, video demand, uploading as opposed to dowloading, etc, etc will make FTTH a necessity very soon), my view on the NBN is that it has always been about competition. The non-Telstra ISP’s have to buy access to Telstra’s monopoly pipes whilst in competition with Telstra Retail itself. That is simply unfair, unefficient and will never offer 90% of the public an equitable price for an internet connection. The marginal benefit is low because the monopoly set price is high! Telstra can supply what the NBN offers, but only on its terms and it wont go to areas that arent financially viable. The best model was always to split Telstra up before it was sold, but its too late for that. By the way, I agree, Telstra’s network speeds are comparitively good however we pay significantly more for it in measly download limits, and high access charges. My cable bill is $69 for 12Gb. I have to be with Telstra cable because they have me on a split copper line so I cant get DSL. They wont fix it unless I stay with them. How anti-competitive is that? I am in a blackspot for wireless which will never enough bandwith anyway. I agree that users should pay when demand is high, but this only works efficiently with competition and we dont have that in a wholesale sense, currently. My last point is that we only have to look at a company like Internode here in Adelaide. They have their own optic fibre pipes in new developments alongside Telstra’s pipes. They offer 100Mbs 25Gb limited FTTH broadband at the same price as their 1.5Mbs relayed service from Telstra. Price per Mbs is much lower. Thats what competition will do. Previous Previous post: Baking the dough of debt into the bread of financial crisis.